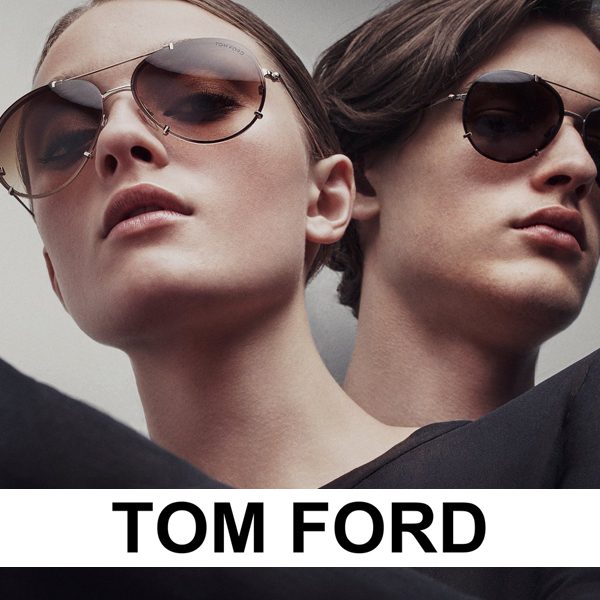 Tom Ford sunglasses offer different models with different materials and colours. 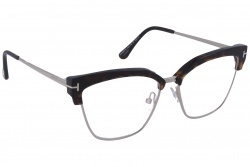 Most of models show simple designs with black and brown frames. 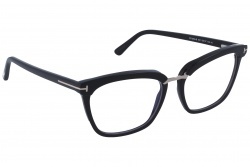 It also uses metal elements in the acetate models in order to add some details. 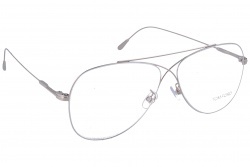 Regarding its lenses, it offers a 100% UV protection. It is possible to find them in colours such as black, brown or dark green with degraded tones or without them. 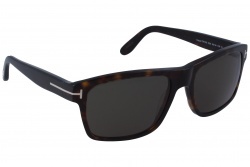 Its sunglasses also offer different categories from 1 to 3. 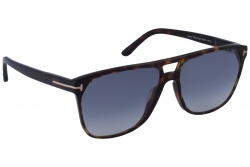 Inside Tom Ford sunglasses for men stand out the square and rectangular models. Most of them are made of acetate which give to them a robust and masculine appearance. 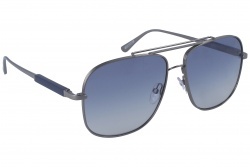 The brand creates aviator models combined with the classic shield style. 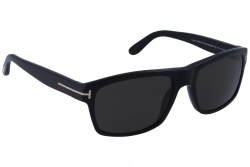 This kind of sunglass is addressed to those who are looking for a big sunglass that covers great part of their face. 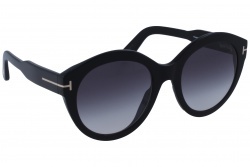 Tom Ford sunglasses for women stand out because of their shape, due to the fact that the brand creates a great variety of models in order to offer a different possibilities to its clients. Its cat eye models are one of the most known designs of the brand. It is possible to find in a lot of models a curious detail, the frontal part conforms an X. 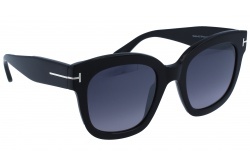 It gives to the sunglass an elegant and distinguish touch at that time that exclusiveness. 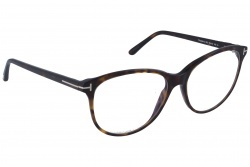 The brand has also launched round and square models for women, in acetate and metal. Designs that mix modern trends with retro details. 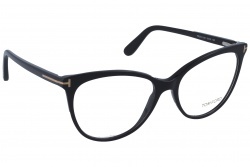 Tom Ford glasses are one of the most reclaimed products from the brand. It is truth that its designs are innovative but thanks to its colours and lines, it achieves an elegant and serious effect that move us to the classic models. 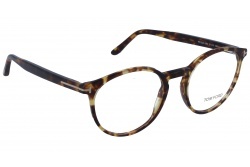 Its eyeglasses show through its designs a very marked personality. 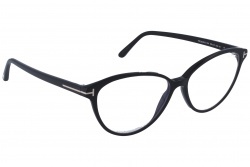 Its frames are created with first quality materials which help to create resistant and comfortable glasses. Besides, the manufacturer achieves the aesthetic expectations with its designs. The brand was created in 2005 by the creator with the same name. 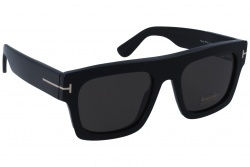 He had worked previously for other important brands such as Gucci or Yves Saint Laurent. It wasn't until the year 2000 when he decided to create his own brand. 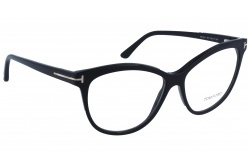 Its glasses section in in the top 3 of the best-selling brands. 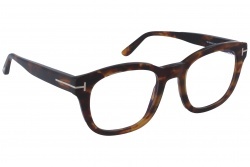 If you want to find the best Tom Ford models visit our Web page. There we have the best prices with great discounts. Besides, our professional team will help you during the purchase process.